Activate only if both a "Gravekeeper's" monster and "Necrovalley" are on the field. Neither player can Special Summon monsters, except "Gravekeeper's" monsters. 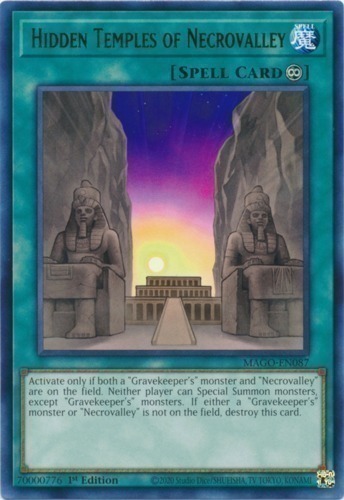 If either a "Gravekeeper's" monster or "Necrovalley" is not on the field, destroy this card.